- Creative personality design, powerful suction USB interface vacuum cleaner. - Laptop keyboard cleaning dust, pet food and other fine debris cleaning, cleaning small household appliances vacuum, car vacuum. - USB powered, hand-held portable; two straws can be replaced for different scenarios. 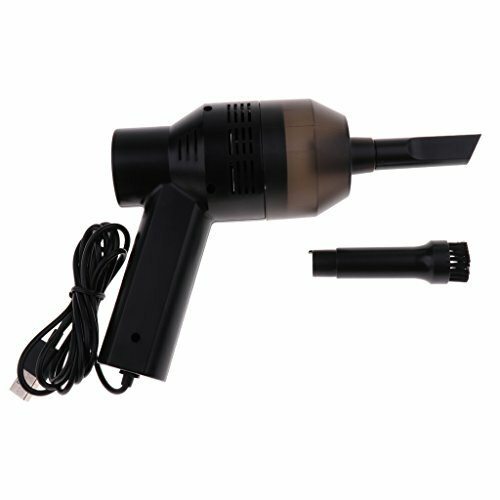 Creative personality design, powerful suction USB interface vacuum cleaner. Laptop keyboard cleaning dust, pet food and other fine debris cleaning, cleaning small household appliances vacuum, car vacuum. USB powered, hand-held portable; two straws can be replaced for different scenarios.